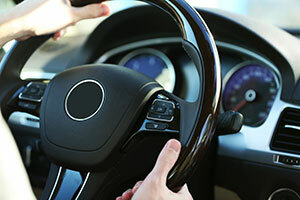 Most modern vehicles include power steering options, which had made it much easier for the driver to physically turn the wheel. Therefore, if the power steering goes out, the problem is immediately noticeable, making it very difficult to properly and safely navigate turns. At Discount Brake Tune and Lube, an authorized Napa AutoCare Center, we have extremely knowledgeable technicians in modern power steering systems, and can help you diagnose and repair this common issue. Steering a vehicle without power steering can be exceptionally difficult. If you suspect something is wrong with your car, please contact our Phoenix auto shop at (602) 667-3400. To visit our Casa Grande location, Discount Bake Tune and Lube, please call (520) 426-1500.